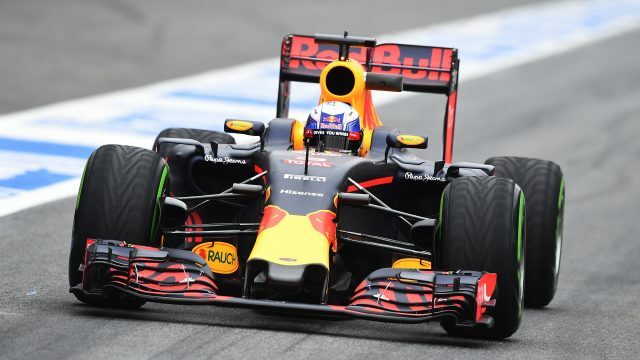 Liberty Media Corporation and Delta Topco, the parent company of Formula 1, has completed Liberty Media’s previously announced acquisition of F1, the iconic global motorsports business, from a consortium of sellers. F1 has appointed Chase Carey as Chief Executive Officer of F1, in addition to his existing role as Chairman, and Bernie Ecclestone as Chairman Emeritus of F1. Bernie Ecclestone, who has given valuable service to F1 over many years, will be available as a source of advice for the board of F1. “I am excited to be taking on the additional role of CEO. 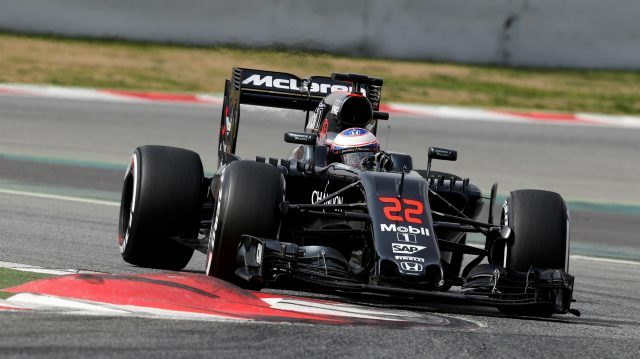 F1 has huge potential with multiple untapped opportunities. I have enjoyed hearing from the fans, teams, FIA, promoters and sponsors on their ideas and hopes for the sport. We will work with all of these partners to enhance the racing experience and add new dimensions to the sport and we look forward to sharing these plans overtime. The consideration for Liberty Media’s acquisition of 100% of the shares of F1(1) was comprised of cash and newly issued Series C shares of the Liberty Media Group tracking stock (“LMCK”) and a debt instrument exchangeable into shares of LMCK. 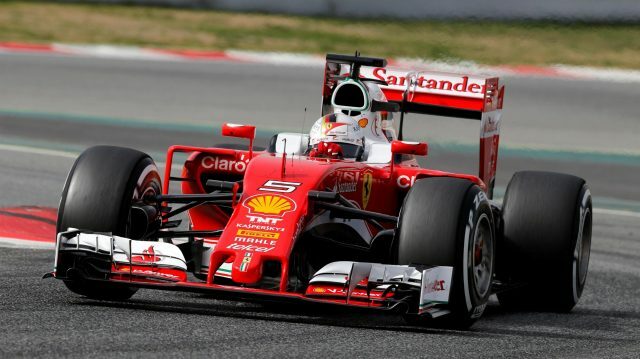 The transaction price represents an enterprise value for F1 of $8.0 billion and an equity value of $4.4 billion(2). With the completion of the acquisition, the Liberty Media Group will shortly be renamed the Formula One Group and the ticker symbols for the Series A, Series B and Series C Liberty Media Group tracking stocks will be changed from LMC (A/B/K), respectively, to FWON (A/B/K), respectively, soon after the group name change has become effective. 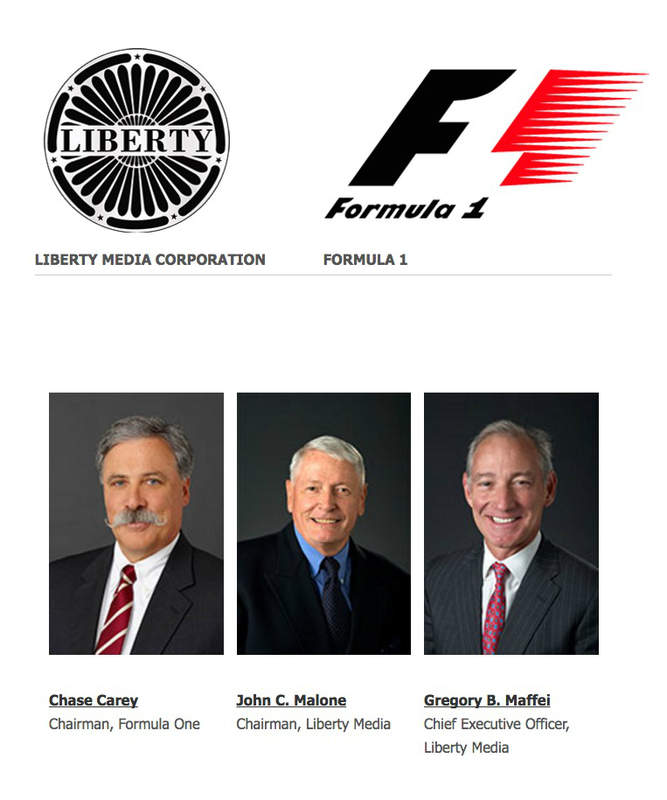 Liberty Media expects the group name change and the symbol change to occur later this week. F1 will remain based in London and Greg Maffei will be Deputy Chair of the board of F1. The Selling Shareholders received a mix of consideration comprising: $3.05 billion in cash, approximately 56 million newly issued shares of LMCK and a $351 million exchangeable debt instrument to be issued by F1 and exchangeable into shares of LMCK. The cash component of the acquisition was funded from cash on hand at the Liberty Media Group. The newly issued LMCK shares are subject to market co-ordination and lock-up agreements. F1, along with $4.1 billion of existing F1 debt (which is non-recourse to Liberty Media) and $0.7 billion in F1 cash(3), is attributed to the Liberty Media Group tracking stock. Concurrently with the consummation of the acquisition, certain third party investors subscribed for $1.55 billion of newly issued shares of LMCK at a price of $25.00 per share. The proceeds from this investment were used to increase the cash portion of the aggregate consideration payable to the Selling Shareholders. The third parties are Coatue Management, L.L.C., D. E. Shaw Group, JANA Partners LLC, Ruane, Cunniff & Goldfarb Inc., Soroban Capital Partners LP, SPO Advisory Corp., and Viking Global Investors LP (collectively the “Third Party Investors”). Also concurrently with the completion of the acquisition, Liberty Media used the net proceeds of its previously announced cash convertible senior notes offering to increase the cash consideration payable to the Selling Shareholders by approximately $400 million for total cash consideration of $3.05 billion and retain in treasury the approximately 19 million shares that would otherwise have been issuable to the Selling Shareholders based on the per share purchase price of $21.26. These LMCK shares will be reserved by Liberty for possible sale to the F1 teams. To the extent such shares are not sold to F1 teams within six months following the closing of the F1 acquisition, the shares will be retired. The aggregate number of LMCK shares issued at the F1 closing was allocated as follows: approximately 56 million to the Selling Shareholders, 62 million to the third party investors and approximately 19 million into treasury. Following the completion of the acquisition, there are approximately 217 million shares of LMCK common stock outstanding (pro-forma for the dilutive impact of the $351 million LMCK exchangeable security and excluding the aforementioned approximate 19 million shares retained in treasury). Following the completion of the F1 acquisition and the issuance of shares to the Third Party Investors (excluding the potential issuance of those shares retained in treasury), the Third Party Investors in the aggregate own approximately 29%(4) of the Liberty Media Group’s outstanding equity and the Selling Shareholders own approximately 33%(4) of the Liberty Media Group’s outstanding equity and have board representation at F1 to support Liberty Media in continuing to develop the full potential of the sport. Liberty Media’s President and CEO, Greg Maffei and Formula 1’s Chairman and CEO, Chase Carey appeared on the CNBC television program “Squawk Box” from 7:00 am ET to 9:00 am ET on Tuesday, January 24, 2017 to discuss the completion of the acquisition in more detail. During their appearance, Mr. Maffei and Mr. Carey made observations regarding Liberty Media’s and Formula 1’s financial performance and outlook and the impact of current economic trends.